Running with plantar fasciitis can be extremely painful. 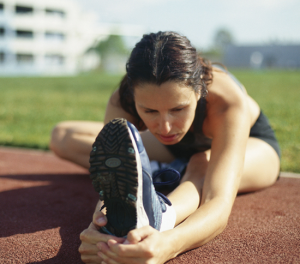 If you’ve suffered from this condition, you’ll know the arch pain that comes with torn fascia. It can be a persistent nuisance which gets in the way of running and even walking. And nothing aggravates it more than running in the wrong shoes! Treating this condition is important before it becomes persistent. 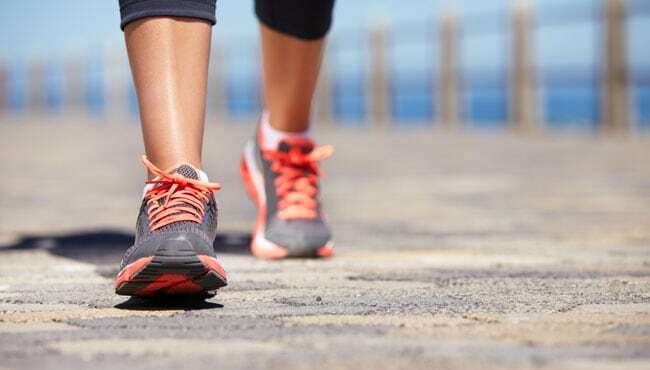 Appropriate running shoes can help you get back on your feet and get back in shape without intrusive medical treatment. You’ll be able to run faster, farther, and much more comfortably with the right pair! Of course, there are tons of options available, and it can be hard to figure out which ones are suited for dealing with plantar fasciitis. That’s where we come in. We’ve done research on lots of top-selling pairs, and found a few choices to help you get started! Below, you’ll find full reviews for each of the pairs we’ve chosen. We compared them by price, quality, features, and user reviews. These gel-cushioned kicks are specially designed for people who need extra cushioning and support. This makes them ideal for plantar fasciitis sufferers. We love them for their sheer cushioning, and support for all stability issues. Previous buyers loved the heel lock, as well as the snug fit along the upper and lower. Plus, the gel base makes them lighter than many comparable sneakers. They’re available for men and women, in nearly any size you could need. They fit like a glove. Stretch mesh and strategic reinforcements create an upper which fits your foot snugly and comfortably. It’s designed to fit close to the foot while still giving you room to move. They last a long time. The soles are reinforced in key areas, and the heel is rounded to prevent it breaking down quickly. 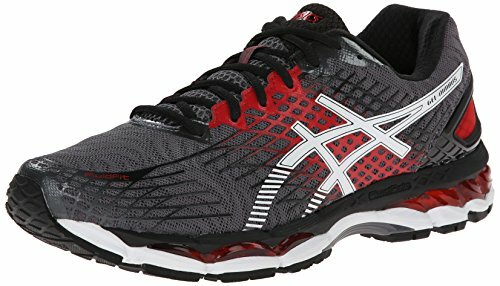 Asics have a great reputation for quality, especially compared to some American brands. They fit true to size. Reviewers said these give you more room in the toebox, without ever feeling too loose. The upper also uses a FluidFit system to prevent blisters and chafing as your feet move. Gel cushioning at the front and back is designed to ease the transition phase and cushions your landing with every step. It’s also much lighter than rubber or foam. The updated model provides more support and stability than the Nimbus 16 but manages to do so while cutting weight even further. Previous buyers said it relieved pain immensely, and was like stepping on pillows or clouds. Some buyers thought they fit a bit narrow. That’s probably just the sock-fit talking. They’re expensive. They’re probably overkill for the casual runner. But many serious customers agreed that the extra cost was worth it because it resulted in being able to run pain-free. 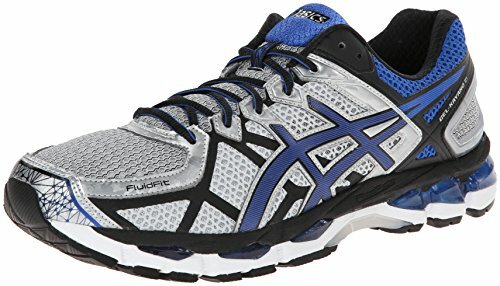 The Asics Gel Kayano is Amazon’s best selling running shoe. With incredibly supportive cushioning and a reputation for quality, it’s easy to see why! This updated version is the lightest yet and has updated support cushioning built into the sole. Both the cushioning and arch support are ideal for P.F. and other foot issues. You’ll find versions built for both men and women. These use a sock-liner and special reinforced mesh upper to maintain a snug but flexible fit. Many reviewers also complimented the wide toe box, traditionally an annoying spot for people with wider toes. Overall, the fit is similar to the Nimbus. They’re very effective in mitigating foot pain and ongoing problems. There’s gel cushioning throughout the footbed to provide cushion while stability foam in the sole keeps your gait properly aligned. The included insole includes heel cupping and arch support. It’s also removable, so these can be used with orthotics. They’re very lightweight, thanks to the gel and mesh construction. They’re less clunky than the Nimbus. The Kayano provides more of a natural road feel, and less of a bouncy ride than the other model. They fit tight. Reviewers recommended ordering slightly up but also said to expect a sock-like fit. They’re pricey. And reviewers had mixed experiences with longevity. Asics like other brands seem to be cheaping out a bit these days. Available in men’s and women’s options, these shoes are fully cushioned, providing support and correction for pronation. Their strong arch support and padded footbed make them a great solution for runners with plantar fasciitis. Reviewers said they’re very durable, and that the best part was that they were comfortable right out of the box, with no wear-in period. We particularly love their segmented crashpad, which gives you more contact with the ground, which makes for a smoother stride. They’re more durable than the Asics options. 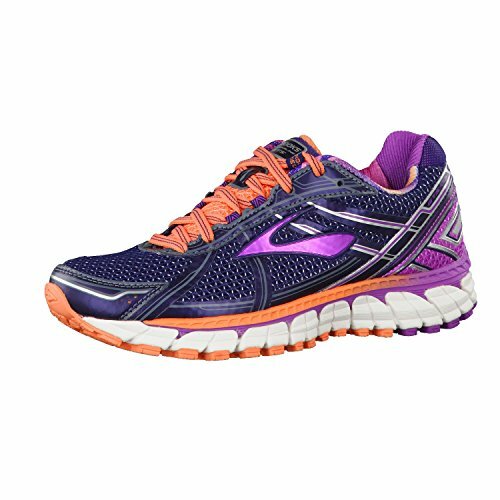 Brooks have added high durability outsole reinforcements to the heel, toe, and landing areas. This helps prevent wear and tear, giving your shoes longer life. Grooved cushioning provides added flexibility through the sole, without compromising the pillow factor. Cushioning extends throughout the footbed in sections, forming a caterpillar-style crash-pad. This means that you’ll have full-ground contact as you run, giving you greater stability and reducing wobble from side to side. Reviewers with P.F. symptoms praised the arch support and thorough cushioning. Some even said they could run in these without needing orthotics! These shoes feature an internal sock-liner. It’s breathable and removable. The mesh upper is also designed to ease ventilation. Reviewers warned that they run a size small. Also, the updated version seems to have a tighter toe box. Between these two factors, we’d suggest sizing up a bit. 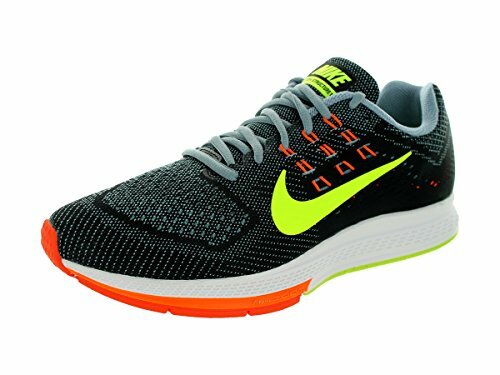 The Nike Air Zoom Structure is a running shoe with the stability and comfort of a motion control shoe without all the restrictive bulk. It’s available in men’s and women’s models. 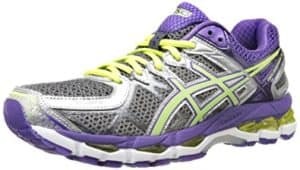 We’d recommend it to people with more severe pain or pronation, who want relief without getting a shoe that’s bulky like the Asics. The footbed is made of thick foam cushioning. It uses Nike’s Zoom material, which is designed to bounce back the energy you put into it. This creates forward momentum and helps you recover with each step. We’ve found that it’s surprisingly, and a great boost with each push-off. We especially loved the fore-foot cushioning, which is ideal for good running form with toe landings. Reviewers said they were a great option for running with all foot conditions and P. F. in particular. These shoes have motion control like the Asics Nimbus, but with less of a constrictive feel. The mesh upper is meant to fit like a glove and uses a special lacing system to give you the convenience of a slip-on without losing security. It’s supportive in all the right places. There’s arch support, heel cupping, and full-foot padding. But it’s still light, thanks to the airy foam material. Reviewers overwhelmingly agreed that it provided motion control without the clunky running sensation they’d come to expect from older M.C. shoes. There aren’t color options. Reviewers also wished there were wide sizes available. 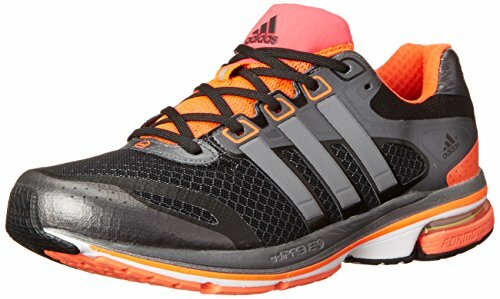 Available for men and women, these running shoes from Adidas provide a lightweight solution for people who need a bit more support and cushioning without having a full stability shoe. They’re similar to the Nike’s, but with more color options and a more structured heel design. We especially like the smartly-placed reinforcements, which make sure that everyone can run in these shoes! Previous buyers said they felt like running on feathers, and made a huge difference over longer runs. Full-foot Boost foam provides support and impetus. It’s designed to bounce energy back with every step, giving you forward momentum as you run. It works a lot like Nike’s Zoom material. The sock-grip midfoot provides arch support and form correction. There’s also a torsion heel, which helps you make smooth transitions. That provides a bit more stability than the Nikes, while still being more open than the Asics. The heel is specially padded to protect your foot at impact, and it also features extra-durable outsole material to help prevent wear. And the sole is designed to be suitable for any runner, e.g. heel strikers or toe strikers. It’s reinforced with high-durability rubber in both regions. The mesh upper is designed to adapt to all foot types, just like the sole. It’ll provide flexibility while making sure that your feet aren’t sliding around as you run. Because this is such a new model, prices are higher. There’s a bit of a break-in period. Previous buyers said it took a few runs to get used to these shoes, and to soften up the footbed. While being a lightweight shoe, these have enough support for even the most severe pronation. They’re the most structured of our recommendations, and provide the stability of an Asics shoe without all that bouncy cushion. The sock-fit midsection hugs your foot and keeps it aligned with the supportive insole. The sole uses a Grid cushioning system. With full-foot pressure relief, it disperses impact outwards. And the grid design allows for more flexible support in the mid-sole. This allows for more correction with less of a restrictive fit. That’s because the sole is already doing the work, without the need for uncomfortably tight heels or uppers. Both the sock liner and the upper material are made from moisture wicking mesh. It’ll keep your feet dry and comfortable on longer runs. With a support frame heel counter and slight elevation, these shoes are designed to give you stability and structure without a clunky or awkward running sensation. Previous buyers said they’re ideal for pronators, and bring everything back into alignment. A few reviewers were disappointed by the narrowness of the “wide” option. Since the vast majority of running shoes are being designed with a sock-fit in mind these days, it can be hard to find styles for people with wider feet. Now that you’ve seen some options, you can decide on your best running shoe for plantar fasciitis by weighing the pros and cons of each model, depending on your lifestyle and needs . No matter which you choose, you’ll surely avoid further injury by wearing the right footwear! If you’re suffering from P.F. but don’t have severe pronation or fallen arches, the Nike Air Glide and Adidas Supernova’s give you appropriate support without elevating you too far off the road. They’re lighter and less restrictive than most support shoes. However, they don’t provide as much cushion as our other choices. Both the Asics Gel Kayano and Gel Nimbus are solid options for anyone with more serious foot problems. They’re heavily cushioned, and they’re extremely popular among your fellow runners. But some people found them a bit squishy and missed the feel of the ground. 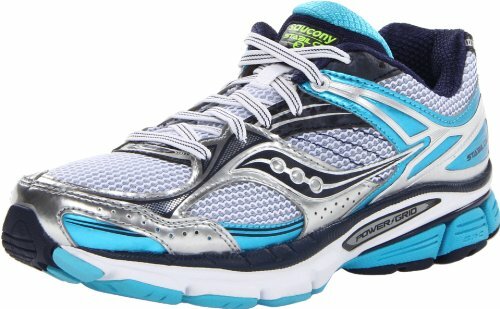 For people with flatter feet and severe pronation, the Saucony Stabil provides maximum support and cushioning. And for the most serious runners, who need to get racing without P. F. the Brooks Adrenalin has a long reputation as a support shoe built for speed and flexibility. These shoes are a customer favorite and have people coming back year after year for new pairs. With most corrective footwear (and most other running shoes, too), reviewers said there was an initial period of adjustment. So, make sure you give a pair of shoes a chance to break in and for your feet to adjust before deciding to send them back. If nothing here catches your eye, have a look at other models by these brands. They’ve all got a range of running shoes available. And after looking at our reviews, you’ll have a good idea of what you’re looking for. We have related articles about the best shoes and for people suffering from plantar fasciitis.